The freshest face in Indian politics looks a lot like one from the past. And it could haunt Prime Minister Narendra Modi as he mounts an increasingly fraught bid for re-election. Priyanka Gandhi Vadra, 47, who was formally appointed to a senior role in India’s opposition Congress Party this week, has the curly hair, bearing and crowd-drawing appeal of her formidable grandmother. As prime minister, Indira Gandhi towered over Indian politics for decades and sent shivers into her opponents, some of whom she jailed -- including the two founders of Modi’s Bharatiya Janata Party. That’s a far cry from the Indian political landscape of the last four-and-a-half years, when a dominant Modi and his BJP have mocked Congress leaders and ruled over parliament with the first single-party majority in 30 years, a mandate last won by the Congress in 1984 after Indira Gandhi was assassinated. But with the appointment of Gandhi to a post in Uttar Pradesh state, the Congress Party led by her brother Rahul is seeking to capitalize on new-found political momentum after it trounced the BJP in three state votes last month, a victory that has injected uncertainty into a general election to be held by May in which Modi was until recently the runaway favorite. It’s “savvy” to deploy Gandhi in Uttar Pradesh, which sends the most lawmakers to India’s lower house, but it also represents a gamble, said Michael Kugelman, senior South Asia associate at the Washington, D.C.-based Woodrow Wilson Center. Still, some might be overestimating her appeal. In an Indian Today poll last year that asked who’s the best alternative to Modi among opposition leaders, Rahul Gandhi was picked by 46 percent of respondents while only six percent chose his sister. That score, however, was still higher than several other regional opposition leaders, including the Dalit leader Mayawati from Uttar Pradesh and Chandrababu Naidu from southern Andhra Pradesh. India’s election is the biggest in the world and also one of the hardest to predict, with limited polling and more than 875 million voters making projections of the outcome unreliable. However, political analysts and pollsters agree that Modi’s popularity has fallen from the highs of his early days in office, partly as a result of declining confidence in his ability to meet pledges on the economy, jobs and assistance for India’s vast rural population. While Congress appears to be making inroads, the party has a lot of ground to make up if it is to challenge Modi’s BJP, and can only do so by forging alliances to create what could be a unstable multi-party coalition. Neither is Priyanka Gandhi’s appointment as general secretary a clear win for the party, which has been dominated by her family for decades. It’s an acknowledgement that Congress President Rahul Gandhi can’t face down Modi alone and opens the party to new avenues of criticism over its reliance on the Nehru-Gandhi dynasty. Long overshadowed by her older brother, the younger Gandhi is a fixture in the backrooms of Indian politics. The daughter of Sonia Gandhi, who was the Congress Party president until Rahul Gandhi took over, she is perceived to be very close to her brother and widely respected within the party. She managed her mother’s and brother’s campaigns in the 2014 federal election, invoking her family’s historical bond with the Indian people as she walked through crowded marketplaces, met with women’s groups and gave fiery speeches at political rallies. The Congress tweeted on Wednesday that it was “fired up” and “ready to go,” as it appointed Gandhi. Posters bearing her image were up in New Delhi the following day. She was put in charge of the election in the eastern part of Uttar Pradesh, a state of 200 million people that is India’s most politically important province. Her appointment is energizing the party, said Shastri of Jain University, but it also allows the BJP to make two key criticisms. First, that Congress is a dynastic party that will always fall back on a member of the Nehru-Gandhi family. And second, Gandhi’s appointment allows BJP officials to rain down criticism on her husband Robert Vadra, who denies BJP accusations of using political connections to obtain land at below-market rates. 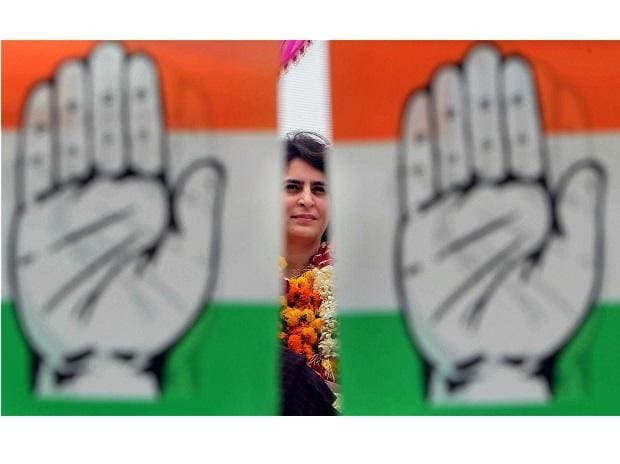 “Priyanka’s entry is an announcement that Rahul is inadequate if not a failure,” tweeted Swaminathan Gurumurthy, a Hindu nationalist and journalist appointed by Modi’s government as an independent board member of the central bank in August.